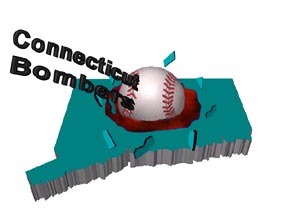 Welcome to the CT Bombers GIRLS FAST-PITCH SOFTBALL Home page. Please make sure to check out our Sponsors section, without them we would not be doing what we so love to do. After declining choices due to the self inflicted demise of PONY the CT Bombers are very happy to welcome and support the return of NSA to southern New England. The additional choice of sanctioning bodies will serve the softball community well by forcing all to provide the players a better product. The 16-U CT Bombers finished THIRD in the 72 team USSSA Eastern Nationals in Salisbury MD! The 7-3 trip was one to remember. Please Check Out Our Sponsors!!!! We are very fortunate for the support we receive from our Sponsors, so please take a moment and check them out. Simply click on "sponsors" on the left of this screen and see what wonderful organizations have blessed us with their support.